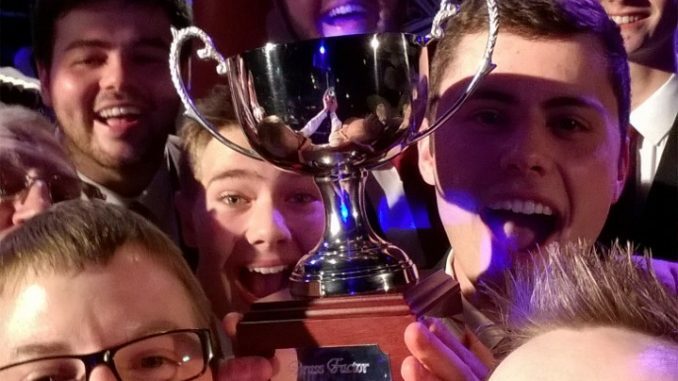 Wakefield Metropolitan Band were triumphant at this year’s Brass Factor competition at Holmfirth Picturedrome, securing first place under the direction of MD Richard Larder. 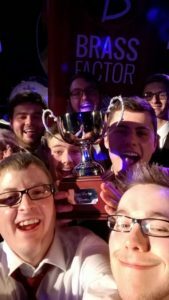 The band came second at Wetherby Brass Factor last year and were given areas to improve from the expert panel of judges. This year’s program included Bach’s Toccata in D Minor; Seterslatt, an interesting new piece for the band which was originally composed for the 1994 winter olympics; Cry Me A River, a trombone solo featuring Damian Hall; and Elvis Presley’s American Trilogy to finish. Thank you to everyone who came and supported the band – we look forward to seeing you again soon as we move closer to our busy Christmas concert season.